Abstract: Research integrity is an essential and integral part of scientific research ethics. It is commonly accepted that the value of scientific research vitally depends on the fulfillment of research integrity codes of conduct. The unbreakable linkage (relation) between research value and research integrity does not reflect only its attachment to the application of proper scientific method but also its acceptance from the society. In this work we present a survey on the organization of the institutions of research integrity in international, European and national level. Emphasis is given in the description of the present state in Greece in the level of Higher Educational Institutes, Research Centers and Committees. Also, we focus on the actions taken from National Technical University of Athens, as well as the initiative from EARTHnet network and their efforts for institutionalization of a common code of conduct in scientific research at a national level. Published at BIOETHICA e-journal 2(1) March 2016, 26-38. Authors: Carmel Shalev, Johannes Rath, Caroline Gans-Combe, François Hirsh, Anna Giovanetti, Walter Hannak, David Morton, Rafaella Ravinetto, Ioannis Kioumis, Colin Thomson, Francesca Forestieri, Kristiane Weber-Hassemer, Mylène Botbol-Baum, Shamila Nair-Bedouelle, Norberto Partignani, Zbigniew Szawarski, Kris Dierickx, Jane Lamprill, David Townend, Pierre Mallia, Helen Busby, James A. Houghton, Anthony Lebeau, Takis-Panagiotis Vidalis, Aine De Roiste, Constantinos Charitidis, Igor Codreanu, Pascal Ducouruau Meery Bullok, Søren Holm, Ursula Huws, Bjørn Hvinden, Ron Iphofen, Pierre Nederlandt, Sam Panicker. The aim of this guidance note is to provide applicants and evaluators of Social Sciences and Humanities research projects with advice and practical guidance on dealing with the ethical aspects of Social Sciences and Humanities research. 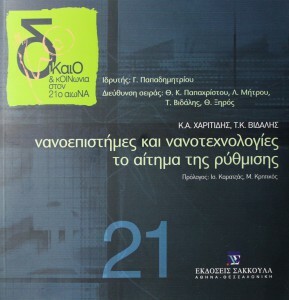 Authors: Joseph Schmucker–von–Koch, Constantinos A.Charitidis, François Hirsch, James A. Houghton, Janet Mifsud, David Morton, Siobhan O’Sullivan, Johannes Rath, Margit Sutrop, Isidoros Karatzas, Mihail Kritikos, Stefan De Vos. Research project applicants, host institutions and national contact points. Authors: James Houghton, Andrew Bottomley, Constantinos Charitidis, CarolineGansCombe, DavidMorton, TimoNevalainen, NorbertoPatrignani, JohannesRath, JosephSchmuker-von-Koch, Mary Sharp, Margit Sutrop. Authors: Andrew Bottomley, Duarte Carvalho-Oliveira, Costas A. Charitidis, Eva Del Hoyo-Barbolla, Anne Demoisy, Anna Giovanetti, Walter Hannak, James Houghton, David Morton, François Moutou , Jane Lamprill, Antony Lebeau, David Townend, and Mary Sharp, Isidoros Karatzas, Mihalis Kritikos, Yamina Cheikh, Paulette Matkovic Ramirez, Marie Cocquyt, Marco Michelini, Stefan de Vos and François Hirsch. This document examines the major concepts of data protection and privacy from the point of view of research ethics. It aims at raising awareness about these concepts in the scientific community and at assisting applicants while preparing to submit their project proposals. Authors: James A Houghton, Regina Becker, Andrew Bottomley, Axel Carlberg, Constantinos A. Charitidis, Anne Demoisy, Ainede Roist, Guy Ebinger, Erik Forsse, Caroline Gans-Combe, Johannes Rath, Myra Tilney.